Chances are, at some point after your arrival, you’d love to get behind the wheel again! The rules can be a little complicated here: some driving licenses are easy to exchange without bureaucracy, others require you to start from scratch. 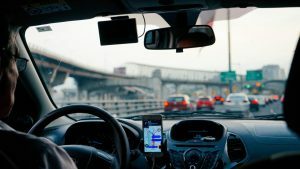 If you already have a valid driver’s license from your home country and you’d like to get a German driving license, read on. You can relax. Your driver’s permit will generally be considered valid in Germany until its expiry date as long as it is a domestic licence and not an international permit. If you’re planning on staying in Germany past the expiry date of your EU/EEA license, you may be eligible to apply for a German license of the same category as a type of renewal of your existing license. Check out this official resource for more specific information. You can use your license for the first six months after you become resident in Germany. After this point, you’ll need a German license if you’d like to rent or buy a vehicle and drive it. Go to a Bürgeramt (citizen’s registration office) and apply for a swap. Here’s where it gets tricky. The exact procedure depends on which country issued your license. For countries like the USA and Australia, the provisions also vary from state to state. A license issued by some countries/states will allow you to simply swap the license over. Others want to see proof of a theoretical exam, a practical exam, an eye test, completion of a first-aid course or even all of these. There’s a handy table you can look at to see whether you need to sit a practical or theoretical exam, but if you’re confused, book a Skype Coaching and we’ll take you through the whole procedure over the phone or Skype. Do I Need an Official Translation of My Driver’s Licence? The decision lies with the office – we’ve had clients who were turned away for not having a translation, and clients who got their licence exchanged without a translation. The ADAC (General German Automobile Club) does written translations of licences for around 40-60EUR, depending on content, but it can take 10-14 days. If you want your license translated quicker, send a PDF scan to Red Tape Translation. We’ll match whatever price you got from the ADAC, it will be completed by a state-certified translator, it will be accepted by the office, and our turnaround time is around 3-5 days. Red Tape Translation can also book an appointment on your behalf and send an interpreter to your appointment with you to help things run smoothly. Our personal experience with the license exchange procedure is that it can take up to 2 months to receive your new license. So plan ahead if you’re hoping to rent a car or van for your next move or holiday in Germany! I am looking to convert my Australian (State: Victoria) drivers licence for a German one. I was hoping to get some information as to how to get this, and what your fee is for this assistance? I have applied for my licence exchange, it seems the card has been sent but lost in the post. I would email the Bürgeramt at which you applied and inform them that the card never arrived. I imagine they will simply invalidate the one that got lost and re-send the license. You can ask them to send it to a different address this time in your email. I am also looking to convert my Australian (State: Victoria) drivers licence for a German one. Could you please send me more information also. I have an Israeli License. Can you please me provide with some information. I have 3 driving licences all are valid. Now I m shifted to Germany and want to Convert my any one of driving license with German driving license. Is it possible please help me out. Does getting a german license mean I need to surrender my Australian license? Yes it does. But the German license doesn’t have an expiry date like the Aussie one does, so that’s a bonus. I am from Kosovo but now i got a residence permit to stay in Hamburg. Can you tell me please how i can convert my Kosovarian driver licence to a German one? You can find the requirements online here, Rexhep. Good luck! Since Kosovo is not a recognized country, but a part of Serbia, no. @Stephen King Actually, Kosovo is independent since 2008 and Germany has recognized Kosovo’s independence. So Kosovo is not part of Serbia. Hi Kathy. Yes, it’s definitely worth applying. Although dance teaching will certainly be covered, I am unsure if the fitness teaching component would be considered artistic. But that is a topic worth discussing in any case. I can understand why you’d get overwhelmed with the form. If you want, I’d be happy to go through it with you and tell you what to include. If we work efficiently, an hour’s coaching is usually perfect for this process plus a few extra questions. If you want proper German statutory health insurance, KSK is your ticket in. Good luck! How can I translate my ‘Indian’ driving licence? Kindly help me. I am looking to convert my Canadian (Ontario) drivers licence for a German one. I have been living in Germany for 1.5 years. I just changed from a one year ‘work and travel’ visa to a two year ‘freelance’ visa. Am I still eligible for converting my drivers license as I have lived in Germany for more than one year. I was hoping to get some information as to how to get this and also could you included an estimated cost for assistance? You might get a slap on the wrist but it is still worth trying to get it swapped 🙂 The department that deals with licenses has nothing to do with the department that handles your work permits, so the type of visa or permit you are on doesn’t matter. If you want, you can book a coaching to go through the requirements with me. I’ll book an appointment for you too, and if there’s credit left over, you can use it to get your license translated if necessary. Otherwise, you can just Take a Translator to go with you on the day of your appointment. Or both, of course. Cheers and good luck! I have a Indian drivers licence for 18 years now, and I moved to Berlin, Germany and need a licence before i plan to buy a car for myself. Can I swap my licence ? and also where can I get the application form to do this. Or can you help me through the entire process getting me a German Licence with an interpreter ? and how much do you charge and what are the formalities. Please advise me all the details so I can get my license done as early as possible . Note: I can not speak German. I have stumbled upon your site on my search for more info regarding switching my American (Alabama) DL for a German one. My “problem” is however, I will be in Germany for a year because my Dutch husband will be stationed there. So I am not sure if I would be there as an American or Dutch resident? It is a bit confusing… I do in fact have my American DL though… Do you think it would be possible for me to exchange it during my time there? It would be so handy because the process to get a Dutch DL is so difficult and to have the German one when we return to Holland would be such an advantage. Sounds like you’ll be an American citizen residing in Germany, if you register your address in Germany. I don’t think your husband’s citizenship (or yours, if you happen to be Dutch too) or where you used to live would play a role here, if your main residence is in Germany. Unless your main residence is in Holland? Then that’s different. If you registered your address in Germany, go for it! I’m a German citizen who has lived abroad my whole life, having inherited my citizenship from my father. I have an Indonesian driver’s licence which will expire in July 2018 (my mother is Indonesian). I moved to Karlsruhe a few months ago and previously registered here in 2014, however have since deregistered as my stay in Germany is temporary. I still have an unexpired Personalausweis. Could you shed some light on what the procedure might be for me to get a German licence, as the benefits of it not expiring for a lifetime would indeed be very beneficial. Many thanks in advance for your advice! As a holder of an Indonesian license, it looks like you have to do the theoretical and practical components too, e.g. it’s not as simple for you as it would be for an American or Australian, or other countries listed on Appendix 11 with simplified procedures. Thanks for your reply Kathleen. I have a document from the Indonesian embassy in Malaysia which is written in English. It’s not so much a direct translation of the licence as it is an endorsement that declares it legitimate. Would that suffice at a written translation? That would be at the discretion of the person processing your application, but I suspect that wouldn’t be enough, unless the document happens to list all the class information and conditions on your license (e.g. exactly which vehicle classes you are and are not permitted to drive). Do we get our Local Original driving license back if we are converting to German Driving License? Hi Ahmed, no, you confiscate it and get a shiny new German one instead. Cheers, KP. Hi, I’m in Italy and want to move in Germany. I have cleared my all theory and practical here and i have now Italy’s driving licence. How can change my driving licence in Germany. I want to ask that will i have to pass again theory in German language or simply it will transfer. And if i have to study all course in Germany, is it will some easy for me or equal to others who are Germans. It will simply transfer – no need to pass any exams. It costs 35,00 EUR. Just book an appointment at any Bürgeramt. I’m looking to see if I can translate my license or if I have to take all the German tests, etc. I live in Bavaria (7 years now in August) and my drivers license is from Pennsylvania, USA. Any advice. I looked at your chart, but am unsure what “nein–nein” would mean? No I don’t need to redo those certifications, or no, mine are not valid? Where would I find information on forms and fees? You might get a slap on the wrist for living in Bavaria for so long without converting it sooner though. You’re supposed to do it within 6 months of moving to Germany. I have been holding the Indian drivers license for last 13 years and I also have an US Drivers license that expired in 2009. Do you know if this helps in reducing some steps to achieving drivers license in Germany. I mean in terms of cost and time. Hi Cedella, send your license to info@redtapetranslation (.com) if you haven’t already. I’ll take a look. If it’s in English, a certified translation into German won’t be a problem and will be accepted in Hamburg. I can also arrange for someone to accompany you to the appointment on the day if you like. Do you offer services here to? Yes, I can arrange for a colleague in Hamburg to interpret for some types of appointments, and the translation and online coaching services can be used from anywhere. I am an Indian who has USA valid license which is gonna expire in June 2018. Can I get it exchanged for German license without taking any tests or do I need to go through whole process? Please let me know. Hi Adithya, the exact conditions vary from US state to US state, but if you have a US licence, in most cases you probably won’t have to pass theory and practical exams. Just start the process while the US license is still valid! Hello, I converted my license from South Africa to German, easy peasy… But now that I want to tent a car to go they say I need to have my license for at least a year. I have driven for 15 years. What a pain! I haven’t come across that before. I would try a different car rental place. I just got my german driving licence, converted from my australian one. What I don’t understand, I was not aware that I have to give up my old licence when I pick up the german one. Why did I have to do that? I might still need the australian one when I visit the country… Could you explain? Did this happen in other Landesamt? This always happens, yes. A bonus of the German license is that it doesn’t expire, whereas the Aussie one does. Also, you can drive in Oz using either your German license or an “international drivers license” if you want to be extra safe, which you can get from the Bürgeramt before you go to Australia. To be honest, plenty of rental companies even accept the German license. I am from lebanon. I have a driving license from my home country. I am in Germany since 4 months. Can i convert my libanese driving license to a German one. Hi Khalil. You would have to complete all the theory and practical components as well as the sight test, etc – e.g. start from scratch. hello Iam from india and I have international driving permit .Can I translate international driving licence to skip the tests or should i translate both domestic licence and IDP. I want to know if original domestic licence is necessary or only international driving licence is enough. It has to be the domestic licence, Archana, which means you can’t bypass the tests. Nice try though! I have recently converted my 10 years old Indian driving License to German one as I wanted to make European Road Trip renting a car. Since my 10 years old license is with Führerscheinstelle and my German driving license is new I cannot prove that I had the License for more than few months. To my utter surprise, I got to know that I cannot rent a car as one has to have a Driving license for at least one year. Can you please suggest me what one should do in this case? Thanks for replying. I got it sorted out The Fahrerlaubnisbehörde gave me an authorized copy of my old Indian License with the official translations by ADAC. I found that it is being accepted by most of the rental car companies here. I really appreciate your hard work here, keep it up. I’m from Israel with an Israeli driver’s license (B) and I wanted to ask for help for what’s the procedure of converting it to the German one, as I’m very confused about the process. Thank you! I have a canadian driver’s license that will expire in august. I am currently living in europe but will not move to Germany until the end of August. Will I be able to exchange it if it is expired then? Hi Jennifer, annoyingly for you, a pre-requisite for exchanging a foreign license for a German one is that the foreign license is VALID. So I would get it renewed while you are still in Canada. Bad timing! Thanks Kathleen for the informative article. A question regarding my complicated case. I am an Indian citizen living for past 10 years in Berlin. I never had a German drivers license. Last year, I was sent on a deputation to the US where I managed to get my US drivers license. All this time, I also had a valid German visa and stadts anmeldung in Berlin. I will be returning back to Berlin next month. Would I be able to just get my German license by exchanging with the US one with the reciprocity agreement between the state of Massachusetts and Germany? Or do I have go through the whole procedure again. there is a confusion (at least for me) regarding the six months limitation. I have a license from a country that appears in Anlage 11″Staatenliste zu den Sonderbestimmungen für Inhaber einer ausländischen Fahrerlaubnis”. I have been German a formal residence for around a year, passing the six months limitation to use my driving liecence.. In some forums, I have read that only inside this time-window I can convert my licence into German one. Meir, plenty of people find that they just get a stern talking-to from the person processing the request, but the licence still gets swapped in the end, even if they have been a formal resident for longer than 6 months. It’s certainly worth a shot! Hi, I have a South African driver’s license and have been living in berlin since August last year. So based on my understanding of what I’ve read, I can just take my license and residency permit to the burgeramt and they will get the conversion done after paying the fee ? Might just take some time but that it? You are right in that if your South African license is still valid, you don’t have to pass any theory or practical tests. You might need a certified translation of the licence. You don’t need your residency PERMIT, but you will need to have registered your address at the Bürgeramt. And if you registered in August last year, you’ve been here for more than 6 months, so you might get scolded :). But I’m fairly sure it would still get converted in the end! Yes. I have a driving licence issued by the Palestinian authorities, I have already gave it along with the translation to the TUEV. Is there a duration within which I have to do the tests after I have already submitted all the documents? If yes, how long? I hold an Australian (Victoria) Driver’s License but it’s a Green Probationary license. Do you know if it is possible to have this converted into a German license? Hi James. I suspect that it will not be recognised as a valid driver’s licence because it is restricted. Best bet is to call 115 and ask. I want to convert my canadian drivers license. I have been in germany for last 4 months. I am living in berlin. Can you please tell me what process to follow? Please I have completed my theory exam, and I have done my driving practical exams about 3 times now, but could not pass the pratical exam , after the last exam I took a break for some time, now I want to try again for the fourth time only to find out that my theory exam validity has expired from Tüv. The theory result was to be valid for a year, now the one year has expired. I really need this führeschein, it’s important I get it. Please what is the way forward for me in this situation .I live in freiburg in Baden-wurtemberg deutschland. Sounds like you have to do the theory exam again, and then repeat the practical exam. So, I still have a German licence that I transferred from a West Australian licence when I was living in Berlin about 13 years ago (have lived back in Australia since 2008). I of course surrendered my Australian licence to get the German one. It expired shortly after I did the swap, so I let them them keep it and I still have the German licence. I’m about to go to Germany for a holiday. Will I get away with using the German licence even though I don’t live there anymore (meaning I don’t have a registered address in Germany)? I still have a German drivers license that I transferred from a West Australian license when I lived in Berlin about 13 years ago. I obviously surrendered the West Australian license when I collected the German one, but it expired shortly after the exchange so I let them keep it (I was able to renew my West Australian license online, so I didn’t need it back for that either). I’ve lived back in Australia for the last 10 years. I’m about to visit Germany again and will be renting a car. Do you think I will get away with using my German license even though I am no longer a resident in Germany (i.e. I no longer have a registered address in Germany)?? Thanks for all the advice here, it is very helpful. I’ve applied for exchange of my valid US (Arizona) drivers licence in Düsseldorf, and it is currently being processed. But I’m somewhat confused about the time restrictions for doing the exchange, in some places I see it stated that there is a 3 year limit, and in some places not – and unfortunately I have been in Germany for 3 and a half years. Are there any definite rules here, or is it at the discretion of the person processing the request? Jay, I hear from SO MANY people who live for years in Germany and get away with transferring their foreign licence, as long as the foreign licence is still valid when you go to make the switch. The Berlin site says you should do it within 6 months of registering in Germany. Just go ahead and do it. You might get a slap on the wrist, but you’ll probably still end up with a German licence. Let me know if you don’t! I’ve a Pakistani Driving license and was expired last month. I’ve a plan to visit Pakistan in August and will also renew my driving license. My question is that once I’ve a renewed driving licence, will am i able to convert my Pakistani license to German driving license? Pakistan is considered a “Drittstaat” which means you’ll have to do the complete theory and practical examinations, sight test, etc etc. Hi Kathleen! Thanks for the really helpful article. I have a question for you, I come from Western Australia, and have converted my licence to a German one, and am just waiting to hear back. I converted both C and R class, but I noticed that the minimum age for A Klasse here is 20, I’m 19. Do you think I’ll still get my A Klasse? Seems like a bit of a conflict. Hi Cole, that’s a really good question and unfortunately I don’t know the answer. Wait and see what your licence looks like when you hear back and please let me know what the outcome is. I have a driver’s license (G) from Ontario, Canada. I’m not sure if I need first aid and eye test, or is it direct swap. I have a appointment end of the month. Can someone please help me? Thank you. First aid yes, sight test no. I have 2 driving licences all are valid. 2. International License with German page issued by UAE authority. Now I m shifted to Germany and want to Convert. I have an expired Yemen License and I went to ADAC for translations they said its better u translated out side and finish the process. However, I want to translate my license. Can you guide me through the process because I live in hamburg. If it is expired, you won’t be able to use it to convert to a German licence. But if you want to get it translated anyway, and it’s in English, feel free to use the Written Translation form on my website to send it to me and I’ll send you a quote. I have seen that you guys can translate the licence. however, I would like to know the process and how long would it take to get the translation done?. I’ve got an Australian (Victoria) licence for car and motorcycle. I’d like to get my German licence finally. Can you tell me how please. Hi Tony. Do you want a coaching? If so, let me know. Otherwise, have a look here. Cheers, Kathleen. Have a read of this document and put it through Google Translate if you need. Read the section “Umschreibung einer ausländischen Fahrerlaubnis Drittstaat”, which applies to your Albanian license. It will tell you everything you need to know, including the address, for doing this in Mannheim. I have a vaild UAE driving license ,i want to convert here in Germany ,is that possible. If you are now a resident of Germany, then yes. Thank alot for your reply, can you tell me the procedure to convert uae driving license with Germany driving license. Helo. I converted my southafrican drivers licence in Offernburg in April. But l still didnt get my german licence. How do l do a follow up? Hi Anabel. Contact the Offenburg office where you made the application. Bonus points if you still have the receipt that proves you paid for it, because it’ll probably have a file reference number on it. Hi Kathy, i like toconvert my South African license to a german one but. I had it renewed in September after like 7 years of living here in Germany. What are my chances and how long? Yeah, give it a shot. You might get yelled at, but if it’s currently valid, you should be able to convert it. This article might explain better. Hi, I’m an Australian going to Germany for a little bit over a year and am looking to convert my license whilst over there. As I have to relinquish my Australian license for the German one, will it be a matter of ordering a replacement license on my return to Australia? I found this for you. It would be a matter of converting your German license to an Australian one when you get back. Hi, how do I convert an Serbian driver licens to a German licence? I currently live in Sweden but I will move to Germany shortly. I am a swedish citycen but I still have my Serbian driver licens. Kind regards Dragana. I have a driving liecence from Uae. I need translation of it. From where i get the translation of it. How much time it takes and the cost. I have Indian driving license. I lost the original and have scanned copy. Is it possible to apply Germany License using the scanned copy. No, you need the original. I am Pakistani National with valid UAE driver’s license can I convert it to German Driver’s license without Theory and Practical test? If so then how? Hi Sunny. No, it looks like you would have to do the theory and practical tests as part of your application to swap it for a German one. Yes, if you manage to get a driving licence from the Republic of Korea and it is valid when you try to exchange it, you can do so in Germany even if you’ve been here for more than 6 months. Read this article to find out more. I have given my translation of my UAE driving license in german. In UAE they wirte light vehicle which is equal to germany category B . But the women want the justification that light vehicle is a car and equals to Germany category B. What should i do. I have an south african drivers license. I moved to the UK from south africa. They could not exchange my license immediately as I had to live there for at least 108 days, the problem was that my license was going to expire in 106 days. So I was going to be 2 days short, they told me to try getting it renewed with the south african embassy in UK. Nonetheless the embassy said they can’t help me or does not know how to help me. My license expired. I just recently moved to germany and now want to find out if there is any way I can get it swopped for a german one (even if it is expired) or if I can somehow get my south african one renewed from this side(germany). Hi Mircea, that’s a really good question. I am under the impression that if you have both PKV (car) and M (motorbike) classes on your Quebec license, as long as you bring a sight test with you (this is always necessary for swapping motorbike classes), you can get both classes on your new German license, but you’ll have to ask the case worker if there are any intricacies there. If you were looking at footnote 5 at the bottom of the table, that doesn’t have anything to do with the Class 5 column. Footnote 5 says that your license can’t be swapped to a German one without doing tests if it is ONLY class 6 (only motorbike). But where Quebec is listed as Class 5, it does not refer to footnote 5. I hope that makes sense. I have a swiss license and want to swap with German license. Do I need to surrender my swiss license to get German license or they give a seperate German license? Kathleen has the ability to make you relax during stressful situations…. it was all so much easier with her help.